Contemporary acoustic songs of love found and love lost. Your own private cafe. Brought to you by The Acoustic Outpost featuring acoustic and urban folk music from the 60s to the present. Love Songs Cafe is a 24/7 internet radio station supported by in-stream ads. 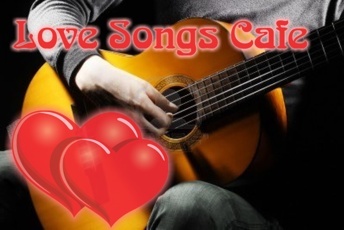 Love Songs Cafe began on Live365. Welcome back former Live365 listeners. Check out Feel Good Rock, 57 Chevy Radio, and Bob Dylan Tracks, other stations of the Outpost Radio Network.